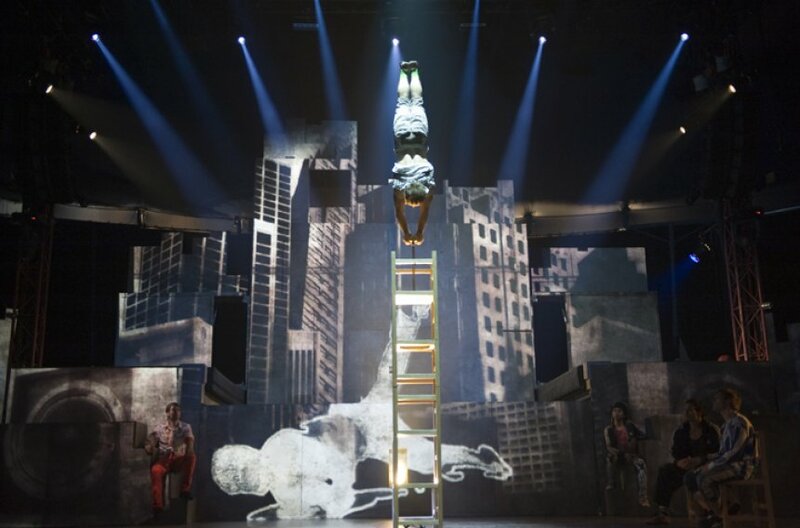 The Adrienne Arsht Center presents its 2011 summer blockbuster - CIRQUE ÉLOIZE iD - a spectacular, mind-blowing fusion of new theatrical circus and urban dance created by the great contemporary cirque director JEANNOT PAINCHAUD. CIRQUE ÉLOIZE iD opened on July 26 and recently extended its stay to September 4 due to great demand. CIRQUE ÉLOIZE iD is the seventh original production from CIRQUE ÉLOIZE. 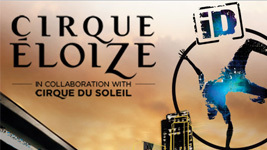 CIRQUE ÉLOIZE and Cirque du Soleil have engaged in a long-term relationship based on common creative visions and international entertainment appeal. Through large-scale projections evocative of the streets of a bustling street from a picturesque downtown skyline, the gritty construction zones, to the scenic graffiti walls, audiences at CIRQUE ÉLOIZE iD will be immediately immersed in a metropolis very much like Miami-- a city perpetually transforming itself in the process of finding a new identity. The stage of the Ziff Ballet Opera House will come alive with the boundless energy of acrobats, break dancers, contortionists and a fearless stunt biker who perform against a kaleidoscope of eye-popping video drawn from science-fiction films, comic books and graffiti. This is a show for all ages! The balance and coordination is unbelievable!